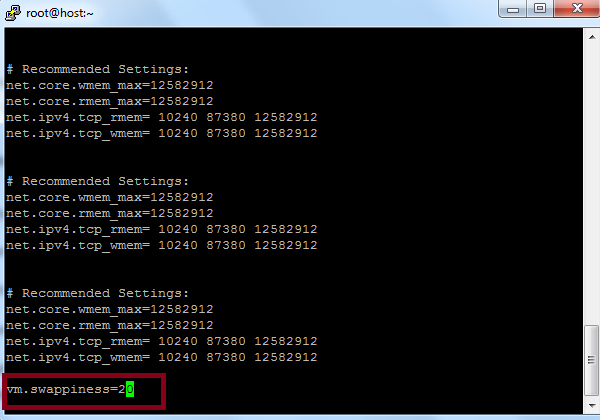 None of the VPS systems that I have ever worked on came with a swapfile by default. One might if your provider happens to use a custom system image, or in rare cases they manually create one for you. When your system runs low on memory it can use swap. 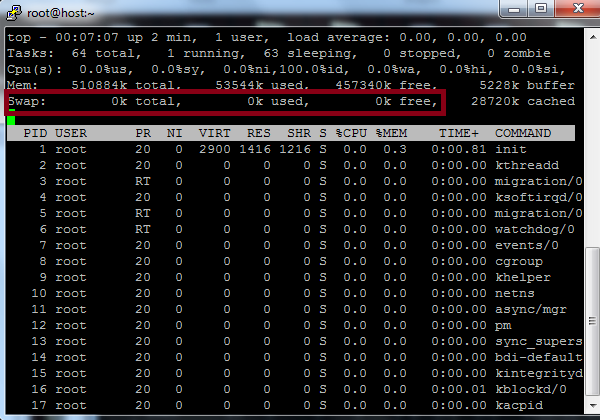 It's slower than real ram/memory, but it's better than running out or crashing your server. Also, pages that are not used very often can be swapped out to give more memory to another application or process that needs it immediately. The drawback besides being a little slower is that it will consume physical space. 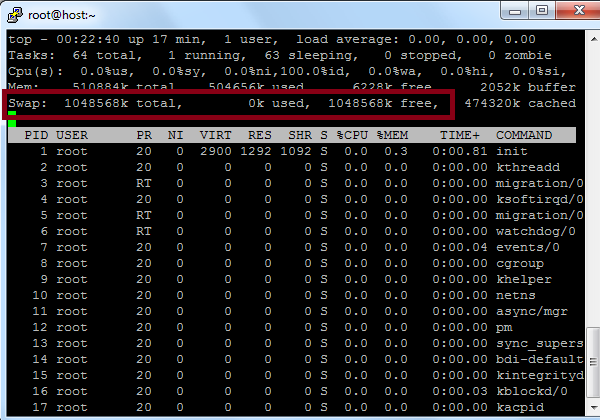 If you create a 1 GB swapfile, then you would lose 1 GB of available hard drive space. Usually the recommended swapfile size is 2x ram/memory. For example, if you have a system with 1 GB, then you would create one that is 2 GBs. However, you can use any size you want, and if your available hard drive space is limited 1x ram/memory would be sufficient. 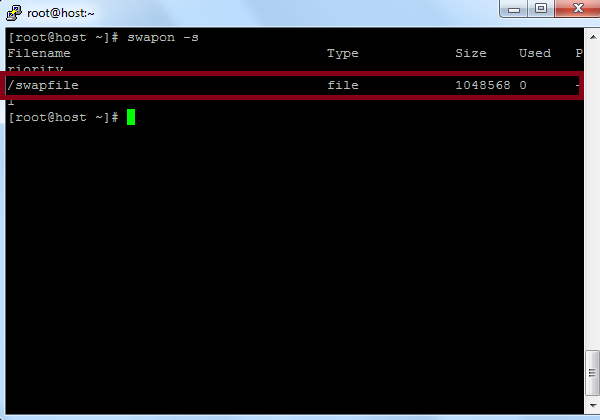 The following explains how to create a simple swapfile. 1. Login to SSH as root. 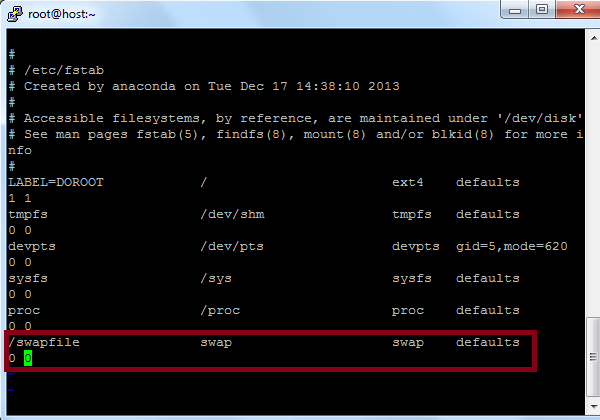 You can also use the top command to check the swap total/used/free section. 3. If one doesn't exist yet decide what size you want to create. *Wait for it to finish. It may take several seconds depending on the size you choose to create. And, with the top command as well. 5. Enable it at boot/restart. Press a (to enter insert/edit mode). Press Esc (to exit insert/edit mode). By default CentOS and Ubuntu will usually have a swappiness value of 60. A larger number will use swap more often, and a smaller number less often. The standard 60 value is sufficient in most cases. However, if you would like to change this value follow the instructions below. Only enter one, not all of these. Type or paste the line of code at the bottom of the file. I know one doesn't exist on this system yet as swapon -s returns nothing. And, nothing when checking with the top command. I press a (to enter insert/edit mode). 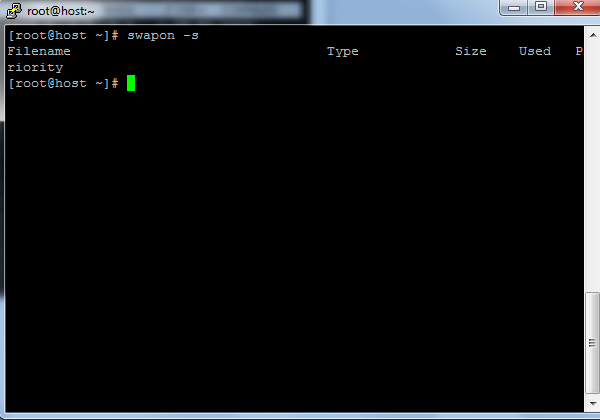 And, when I use the top command I can see it as well. 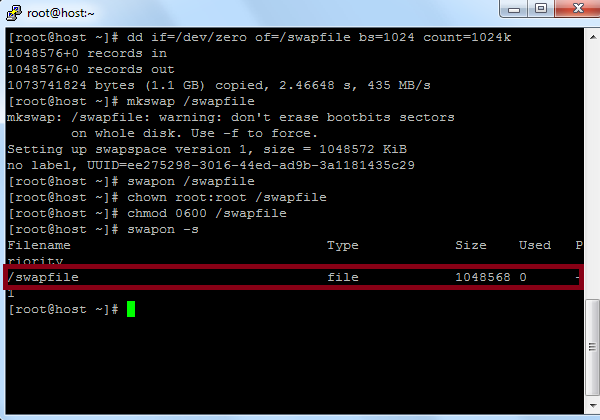 3 to 5 minutes later I have a 1 GB swapfile with a swappiness setting of 20 on CentOS 6.5.